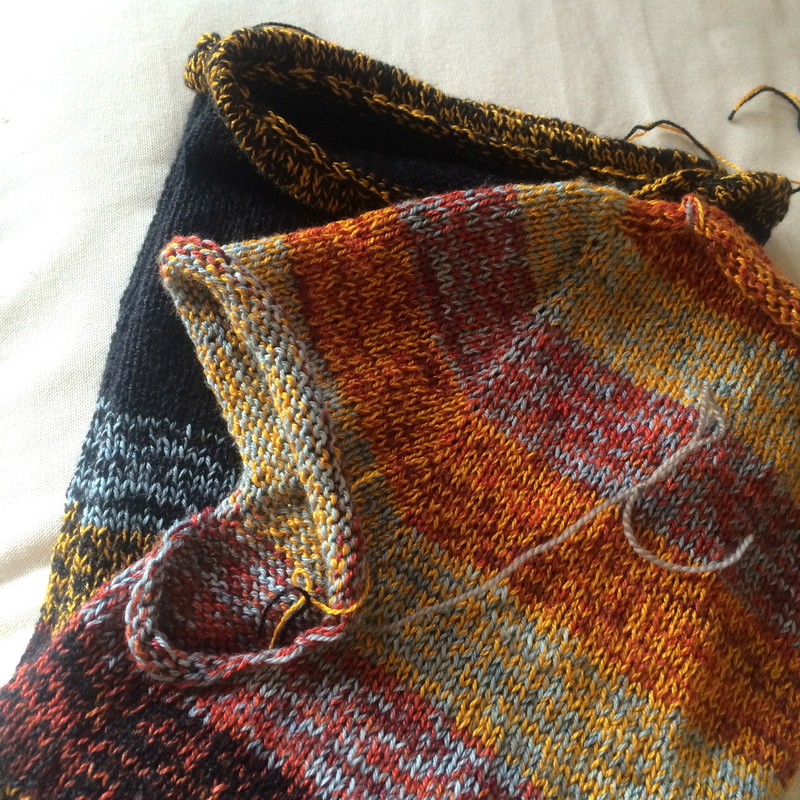 The body of my Versio sweater is done, and I’m hoping to pick up for the sleeves tonight. My plan is to work them simultaneously, working stripe A on the right sleeve then stripe A on the left sleeve. I’m cutting it close on yardage, and will probably need to pick up a second skein of the black “Forest Hills,” but hopefully I’ll make it. Remember this shawl? From weeks and weeks and weeks ago? It was my main knitting project through the stomach problems, and the bedbug situation. Simple, straight forward, stockinette, half circle. 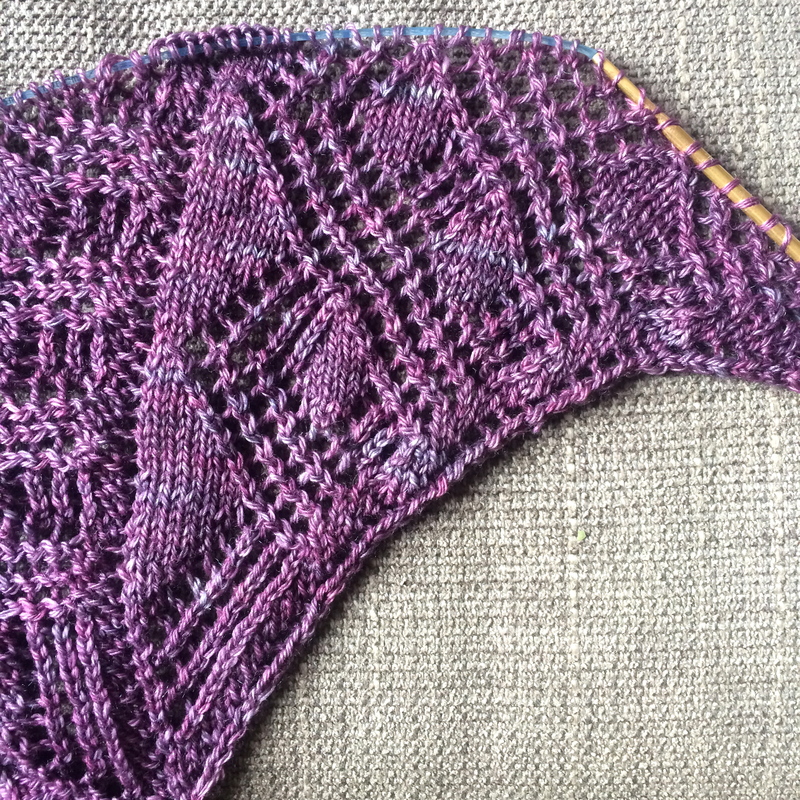 I finally got it back on the needles, and have figured out what I want to do for the bottom edging. yay.